Alongside windows, R.B. 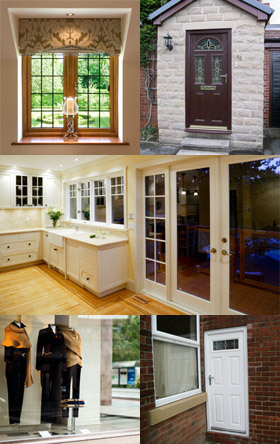 Glazing also specialise in the installation of composite doors. A relatively new development, this type of door has taken off over recent years due to its clear benefits over more traditional doors. Comprised of wood, UPVC and often other materials, they offer the benefits of multiple materials with none of the drawbacks. Composite doors offer great insulation and security; the combination of materials used in their composition means that they are extremely robust, durable and resistant to weather damage. They’re aesthetically pleasing too; they can easily be tailored to suit your exterior, with a range of colours and realistic wood grains available. Here at R.B. Glazing, our team provide door installation and replacements, allowing you to upgrade your door to this versatile material quickly and easily. We work with homes and business throughout Wakefield, providing attractive composite doors complete with sturdy glazing inserts. Our professional team are diligent and respectful whilst working in your home, taking care to leave things exactly as they found them. We’ll work hard to ensure that your day is disrupted as little as possible by our work, providing you with a brand new door with minimal hassle involved. If you’re based in Wakefield and would like to find out more, please contact us by calling 01924 250 687 or contacting us online.